The Pro-100S is one of the Best Home Printer you can buy for your Mac PC weighing about 19.7kg. With the paper capacity of 150, it can print up to A3 paper sizes. It has a relatively fast printing speed with the ability to print out a 4 X 6-inch picture in just 34 sec. It also comes with wireless capabilities, making printing from your iPhone or iPad, a breeze. Second, on our list is the ET-4550. This printer packs amazing features including an impressive 33ppm speed. Measuring 515‎ x 360 x 241mm, the printer has a paper capacity of 150 sheets and weighs 7.4kg. Epson ships this printer with two years’ worth of ink, which feels like a very attractive offer. Not only that but the printer is designed to allow bottle ink refill, which saves you a lot of change. Allows you to seamlessly print from your phone. 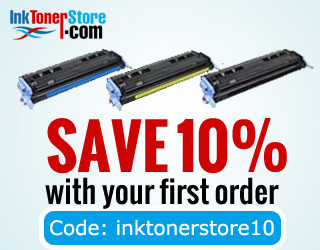 If you are shopping on a budget, then this printer may be what you are looking for. With the scan resolution of 1200 x 1200 dpi, this all in one Best Home Printer is very reasonably priced and comes with many features. Measuring 161 x 454 x 410 mm, the 5540 can print at a speed of 22ppm and weighs about 6.82kg. Its features include printing, scanning and photo printing with support for AirPrint, wireless, USB and Wi-Fi printing. Setting up can be tricky for beginners. This printer is uniquely designed for professional photographers. Mac Os hosts some of the best photo and video editors; hence if you are a professional photographer, you’ll need a printer that does justice to your photos. From Profesional color calibration to fine artist tools, the SC-P800 is packed with all features you’ll need to showcase your work. Measuring 684‎ x 376 x 250 mm this printer has a speed of 3ppm and weighs about 19.5 kg. Its print resolution is 2,880 x 1,440. Cons: It has no option for a high yield cartridge. If you are looking for a laser printer for your Mac, then this is one of the Best Home Printer on sale. At 20ppm print speed, the M2070W has a paper capacity of 150 sheets and measures 406 x 359.6 x 253mm. It’s also easy to move around as it only weighs 7.4kg. The M2070W has a print resolution of 1,200 x 1,200 and NFC printing features for compatible smartphones. Measuring 372 x 324 x 140 mm, the TS9150 has a paper capacity of 120 sheets and weighs about 6.7kg. With the print resolution of 4,800 x 1,200, you can expect high-quality printouts for both text and photos. The TS9150 prints at 15ppm for black ink and 10ppm for colored print. Although the printer is a bit pricey, the output quality is surely worth the cash. This is another great laser printer for your Mac devices. It is an entry-level printer with a print resolution of 600 X 600 and an impressive paper capacity of 250. Measuring 420 x 421.7 x 532mm, the T6B82A weighs 18.7kg and prints at 12ppm. The printer has many features including scanning, printing, and copying which is great for your home or small office use. This is one of the best home printer for your Mac. Weighing just 4.2kg, this is one of the lightest printers for your Mac. It has a paper capacity of 60 sheets with a varying printing speed depending on the type of documents. This is a great printer to buy when shopping on a budget.